Cho U Advances in Chunlan Cup: The opening rounds of the 10th Chunlan Cup, another Chinese-sponsored international tournament, were held in the city of Taizhou in China on March 26 and 28. Japan had five players seeded in the first round, of whom four won their games, but only Cho U (right) survived the second round. Full results for the opening rounds are given below (note that individual seeds, as opposed to country seeds, join the tournament in the second round). Round 2 (March 28). Zhou Ruiyang 9P (China) (B) beat Iyama by resig. ; Cho U (W) beat Jiang Weijie 9P (China) by resig. ; Chen Yaoye 9P (China) (W) beat Kono by resig. ; Shi Yue 9P (China) b. Murakawa by resig. 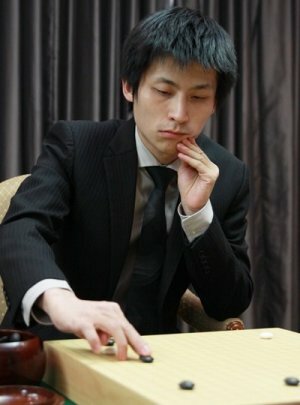 ; Gu Li 9P (China) (B) beat Yi Se-tol 9P (Korea) by resig. ; Pak Cheong-hwan 9P (Korea) (W) beat Tang Weixing 9P (China) by resig. ; Mi (B) beat Ch’oe Ch’eol-han 9P (Korea) by resig. 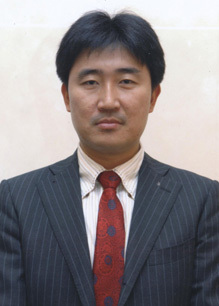 ; Kim Chi-seok 9P (Korea) (W) beat Tuo by resig. There are five Chinese, two Koreans and one Japanese representative in the quarterfinals. Pairings are: Cho vs. Gu, Shi vs. Zhou, Pak vs. Chen, and Kim vs. Mi. 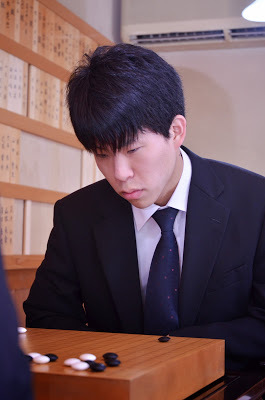 Ida Becomes Honinbo Challenger: There was a big upset at the end of the 69th Honinbo League. Going into the final round, held on April 3, only two players were in the running: Yamashita Keigo, on 6-0, and Ida Atsushi (left), on 5-1. To become the challenger, Ida would have to beat Yamashita twice in a row. Surprising many go fans, who had expected to see the third big match between Iyama and Yamashita in less than a year (after the 2013 Meijin and 2014 Kisei matches), he managed to do this, winning the play-off held on April 7. This win also earned him an automatic promotion to 8-dan for becoming a big-three challenger, following his jump from 4-dan to 7-dan when he entered the league last year. Ida just turned 20 on March 15. The title match starts on May 14. Below are league results since my last report. (24 March) Yuki Satoshi 9P (W) beat Yo Seiki 7P by resig. Play-off (April 7) Ida (W) won by 5.5 points. Placings in the league are as follows: 2nd, Yamashita; 3rd, Cho U (4-3); 4th, Kono Rin (4-3). Losing their places are Yuki Satoshi (3-4), Yo Seiki (3-4), Takao Shinji (1-6), and Sakai Hideyuki (1-6). Meijin League Update: Ryu Shikun 9-dan (right), a strong player who has been lying low over the last decade, is doing well in the 39th Meijin League. With three wins, Yamashita Keigo is still in the lead, but Ryu, on 3-1, is following hard on his heels, along with Kono Rin 9P (3-1) and Cho U 9P (2-1). (March 27) Ryu Shikun 9P (W) beat Ko Iso 8P by resig. (April 3) Murakawa Daisuke 7P (W) beat Hane Naoki 9P by resig. Yoshida Yoichi 9-dan, a member of the Kansai branch of the Nihon Ki-in, died on March 26. Born on October 7, 1935, he became a disciple of Hosokawa Chihiro (Senjin). He made 1-dan in 195, reached 9-dan in 1977 and retired in 1997.